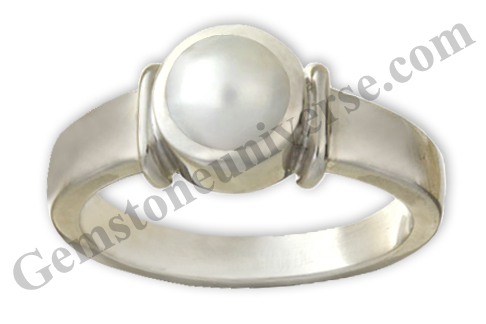 Comments A pure white Natural Pearl from Australia, with calming and pleasant Rose overtones! This non-nucleated and undrilled natural Pearl has a blemish free body and a silken smooth finish with fantastic translucence! 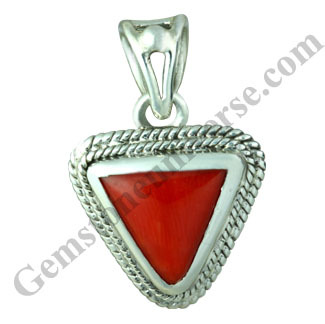 And the gleam of Lunar energies make this a potent and Sattvik, Jyotish gemstone! 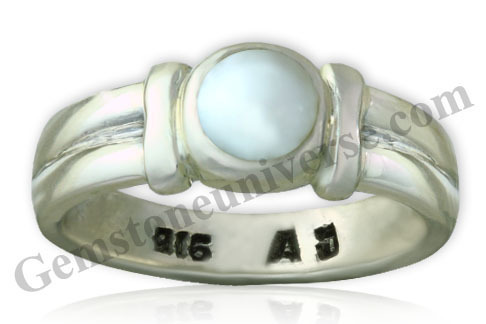 Set in a sterling silver ring and calmly poised to deliver the best results of Moon! Unheated Gem and Jyotish quality Burma ruby out of the reach of anyone except connoisseurs, wealth managers and collectors-Live report from the 47th Bangkok Gem and Jewellery Show and our forecast from the 46th Show was bang on target. – The Ruby should be fully natural. No trace elements, no filling, no composites at all. 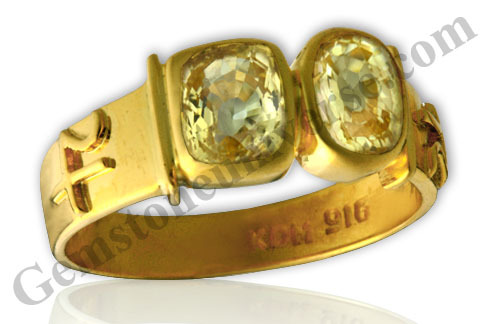 – High Price with the best to be afforded only to real gem lovers, connoisseurs and investment managers. – Mass production and subsequent enhancement measures such as glass filling. ( These have no use in Jyotish). Well this year the price has doubled in just 6 months. 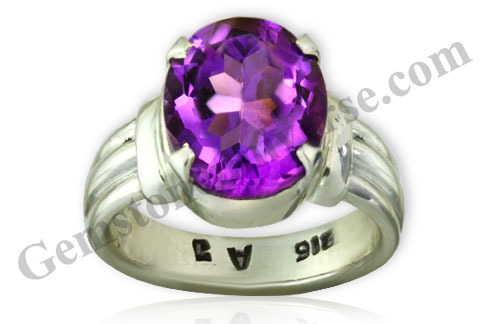 For the last years report on Rubies please click here. 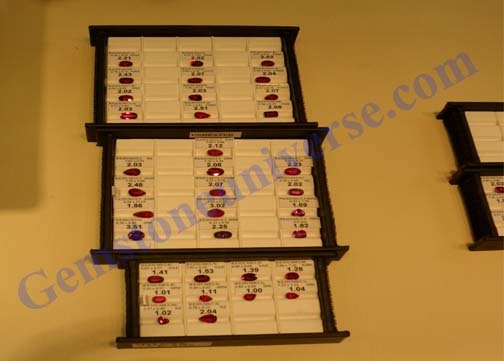 Premium quality Burma ruby that is fully natural and in the range of 2+ carats with good clarity levels is trading at $10,000 per carat provided one buys the whole lot. This is a B2B price. 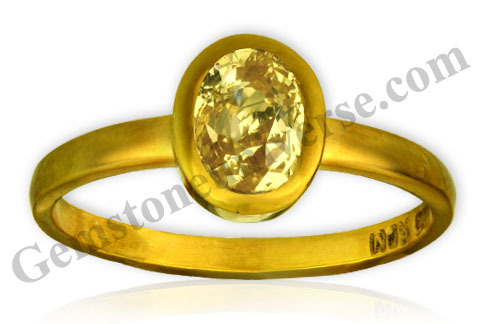 It comes with the rider that you need to buy all the Rubies in the lot to get a price of $10,000 per carat and this price is negotiated by the best of professionals in business. A mine in Madagascar is producing fine quality Rubies which are scarlet red( Yes beautiful scarlet red with no heat) with a tint of purple which is quite close to the Imperial Pigeon Blood color. To know more about the Imperial pigeon blood color please click here. 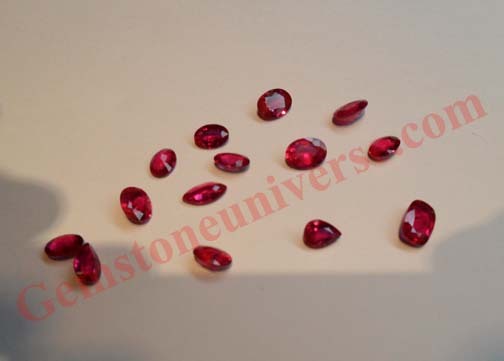 Similarly a mine in Mozambique is producing fine rubies with gorgeous transparency with no enhancing treatment and these are available if you search hard enough. Both of these rubies are available at a fraction of a price. 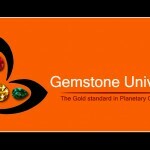 Gemstoneuniverse has acquired two beautiful lots of both of them and these will be made available to you shortly. 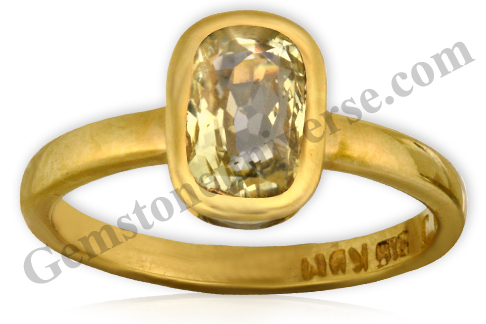 Both Madagascar and Mozambique Rubies that are treatment free are going the same way as fine Burmese Rubies when it comes to the price. Unless both these mines produce fine quality rubies in abundance the price will be stable but it’s a big IF. 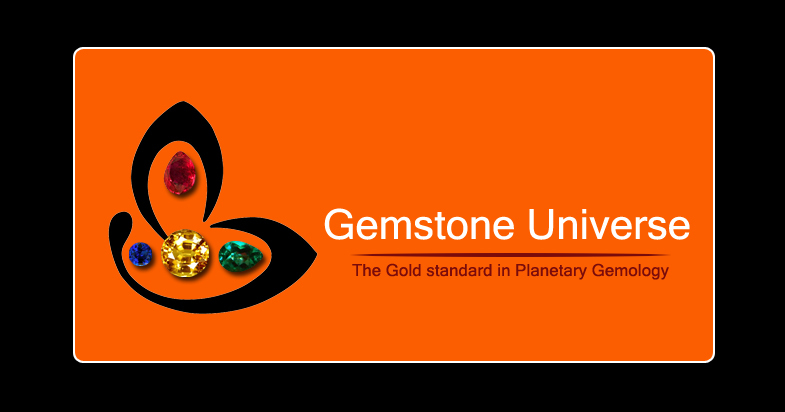 No one can give accurate supply projections as of now but whether you are a fan of planetary Gemmology or an investor or a wealth manager grab them now before its too late. We just hope that in next 6 months they don’t go the same way as the Burma Rubies. 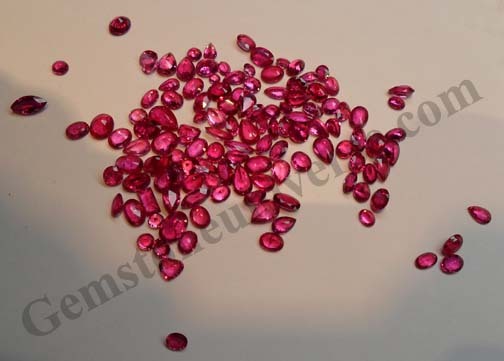 There is a small lot of Burma ruby too, which you are going to love. 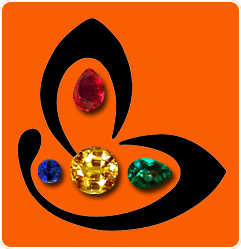 Take smaller beautiful fully natural Burma Rubies and mix and match using creativity to make 3 stone or 4 stone rings in case you want to make up the weight. 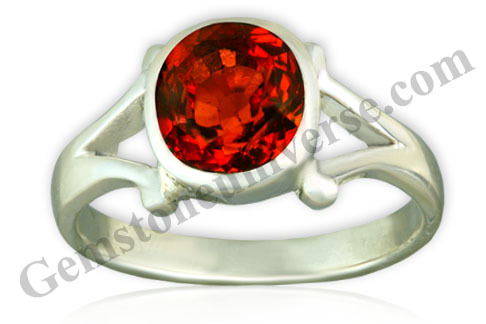 Comments This is a Flawless and captivating Fully natural and untreated Ceylon Hessonite with more than 95% clarity! Deep Burnt Imperial Cinnamon color is not only the most desired color but also the most captivating with the most brilliant Scintillation! 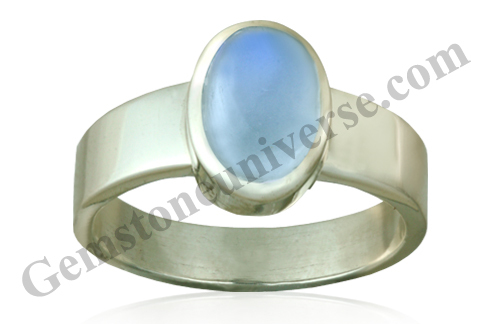 This lustrous gemstone set in this beautiful and floral sterling silver ring is ready to deliver the best Sattvik energies and the most potent Jyotish results of Rahu!